Minutes from Paddington Station and sandwiched between the Westway flyover, the Regent’s Canal and the railway line into the station is this wonderful building. It is outside of what was once a depot for a bus company, then turned into headquarters for the Monsoon fashion organisation and now offices for Nissan Cars. 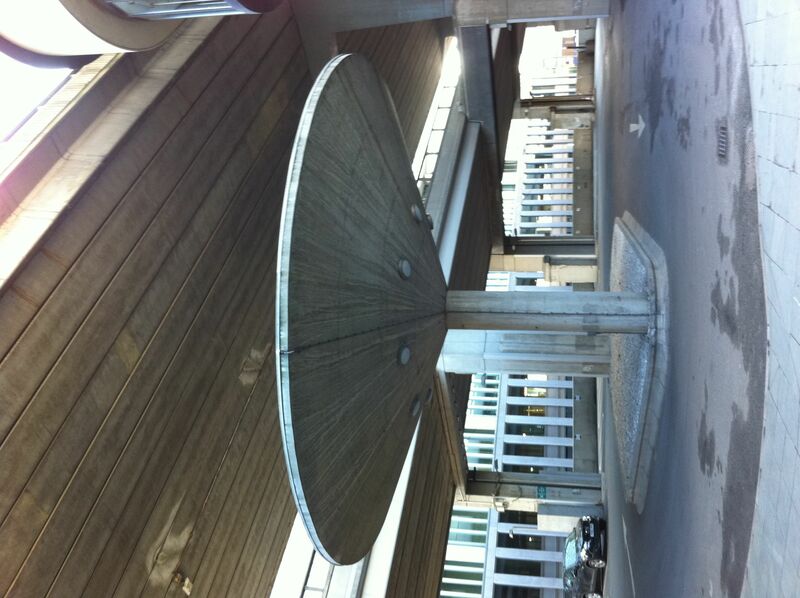 It may well have sheltered a filling station for the buses but now it stands slightly without purpose concrete against concrete and framed by this semi-circular office block. Needs to be listed.